The web 2.0's that I manually create will be of really high-quality and will never get deleted. This is highly-recommended and safest method of link building. This will give great link juice to your website for many many years. These are permanent links and not spammy or dodgy links. I will write two 300+ words original articles based on the keyword with 10 different titles, hand spin the articles to higher percentage of uniqueness and post it in top web 2.0's. 1) Relevant page header and title will be added. 2) I will create the URL name relevant to the keyword and each different. 3) Manually change the themes for every web 2.0. 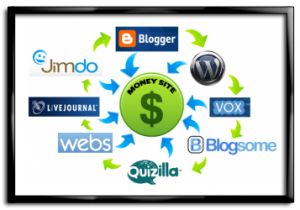 5) The best method to build high quality backlinks - Penguin, Panda and hummingbird Safe! So why wait, order now and get yourself the best Google friendly back links for your site! Time tested successful SEO technique - Will manually create high quality 10 web 2.0s is ranked 5 out of 5. Based on 22 user reviews.